Ideal entry-level model for commercial end users. Mobile and compact with easy transport handle. Detergent metering valve enables cleaning agent to be mixed continuously at low pressure. Large rear wheel for transport and easy up/down stairs. The high-pressure outlet is made of brass, which makes it highly resistant to fracture and corrosion. 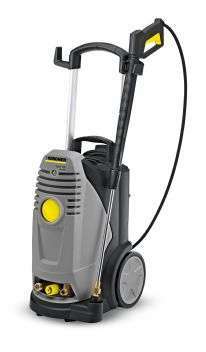 Bonus Karcher dirtblaster nozzle for hard surfaces (+50% power and coverage) included with PowerVac supplied machines.